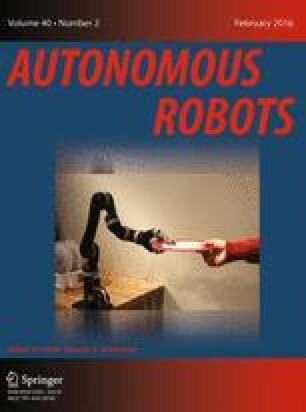 A probabilistic stable motion planning strategy applicable to reconfigurable robots is presented in this paper. The methodology derives a novel statistical stability criterion from the cumulative distribution of a tip-over metric. The measure is dynamically updated with imprecise terrain information, localization and robot kinematics to plan safety-constrained paths which simultaneously allow the widest possible visibility of the surroundings by simultaneously assuming highest feasible vantage robot configurations. The proposed probabilistic stability metric allows more conservative poses through areas with higher levels of uncertainty, while avoiding unnecessary caution in poses assumed at well-known terrain sections. The implementation with the well known grid based A* algorithm and also a sampling based RRT planner are presented. The validity of the proposed approach is evaluated with a multi-tracked robot fitted with a manipulator arm and a range camera using two challenging elevation terrains data sets: one obtained whilst operating the robot in a mock-up urban search and rescue arena, and the other from a publicly available dataset of a quasi-outdoor rover testing facility. Smith, R. (2005). Open dynamics engine. http://www.ode.org/. Accessed 2011.